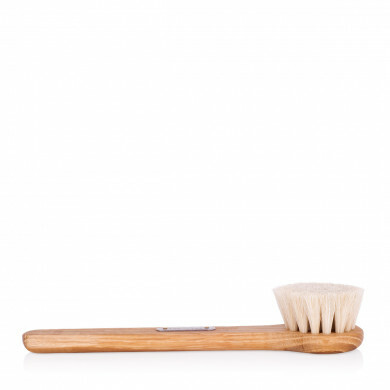 A high quality facial brush made from natural materials for you to take easy care of the beauty of your skin day after day. This handiwork by Swedish craftsmen is made from renewable resources in an environmentally friendly way. The pleasant oak tree handle will serve you for ages as the bristles have been carefully weaved in with lasting stainless steel wires. 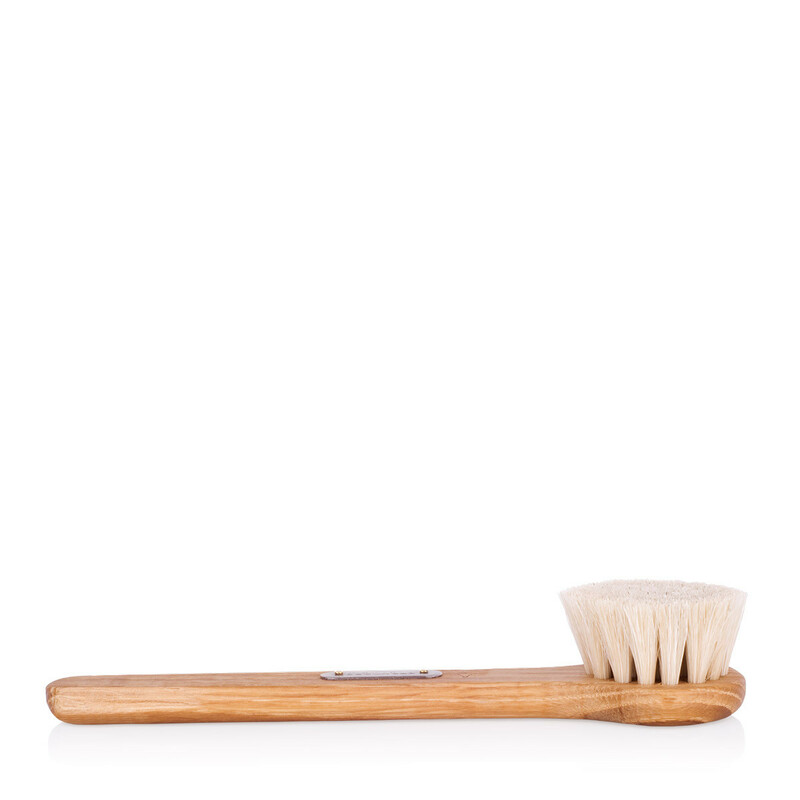 Goat hair bristles will gently and effectively cleanse your skin, softening it and stimulating blood circulation, to make your skin glow with beauty. Dimensions: length 17cm, diameter 4.5cm, bristle length 2cm. Our facial brush will be handy for dry facial massage procedures, as well as for cleansing the face with water and gentle soap. Massage with light circular movements, stimulating blood circulation and improving the appearance of your skin.